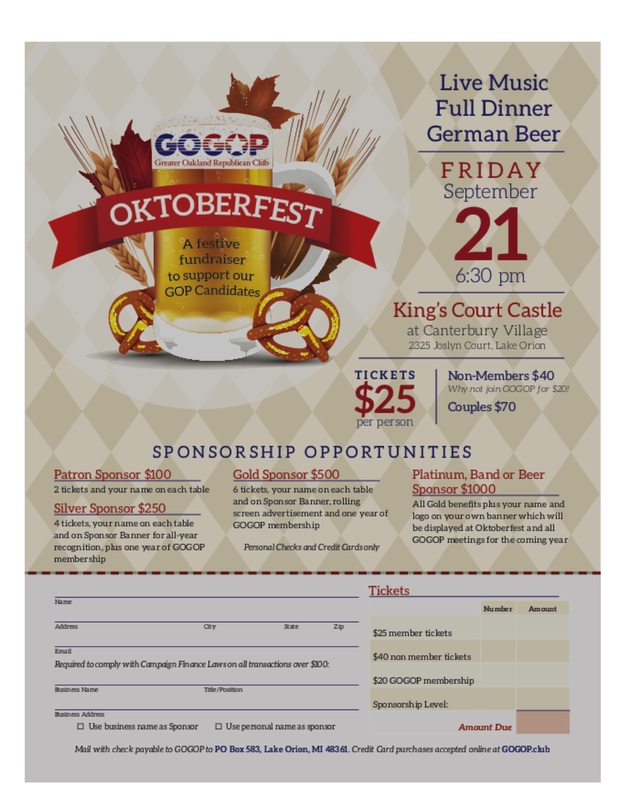 Plan to Join GOGOP & Friends for the "Funnest" night of the year! OKTOBERFEST - Friday, Sept. 21st! We're Dining, Drinking & FUNraising! with old & new friends while supporting our candidates!